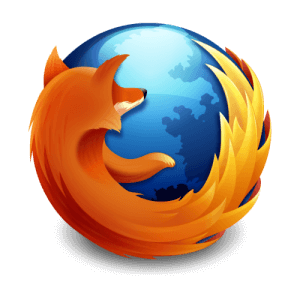 Firefox has become one of the most popular browsers for a reason: it offers a rich variety of plug-ins, or add-ons, that allow you to customize and personalize your browse to change its appearance and improve its features. Mozilla, the maker of Firefox, has put together very popular plug-ins into Collections, which are designed for particular uses or professions. Here’s a quick look at some of the most useful Firefox plug-ins for both web developers and designers. Firebug is at the top of the list because it’s truly one of the best Firefox plug-ins for developers and designers. With Firebug installed, you can quickly and easily find and change every bit of the webpage you’re viewing. If you make a mistake, it’s easy to reload the website and the changes will be reversed. This open-source tool allows you to inspect and de-bug web design by discovering how CSS styles affect elements of the design, adjust elements like color, width and height, inspect the DOM and more. Basically, Firebug improves your efficiency. It’s become so popular there are even more add-ons designed specifically for Firebug. This toolbar gives you many of the same features as Firebug, just presented in a different way. Web Developer will display image paths so you can find broken ones, it’ll show a ruler on your page and resize the window to a set height and width so you can test the web design on many resolutions. This simple add-on will add a ruler, like the Web Developer add-on, which is used to measure any element of the design. This simple tool is really a must-have to make sure all design elements have proper sizing. Already have Firebug installed? This is an extension for the popular plug-in that helps you find unused CSS syle rules in the code. It’ll point out any unnecessary bits that you can remove to keep files light. As you know, website loading time is a very important factor that improves user experience. Research has already shown that most visitors will leave your website and go somewhere else if it loads slowly, so this tool developed by Google quickly analyzes your website and makes suggestions to improve the speed, such as minimizing redirects and removing unused CSS styles. This tool is another must-have to test the design and function of your website. This tool ensures your HTML is well formed and looks for compliances. It’ll alert you if it catches any errors so you can change the code for your website. Want to check for cross-browser compatibility? This add-on will let you view your website using Internet Explorer without leaving the Firefox browser. Quickly check your SEO with SEO Doctor, which scores your website with a percentage of 100. It’ll highlight any areas of the website that need better optimization and allow you to export all data to a spreadsheet. This add-on combines many color tools, including an eyedropper to grab color from the page, a DOM color analysis to show you a palette of the colors you’ve used, a palette browser and a color picker. This fun-to-use add-on lets you select any area of a webpage and edit it within the browser. It has all of the features you expect and allows you to share these grabbed images online or save them.